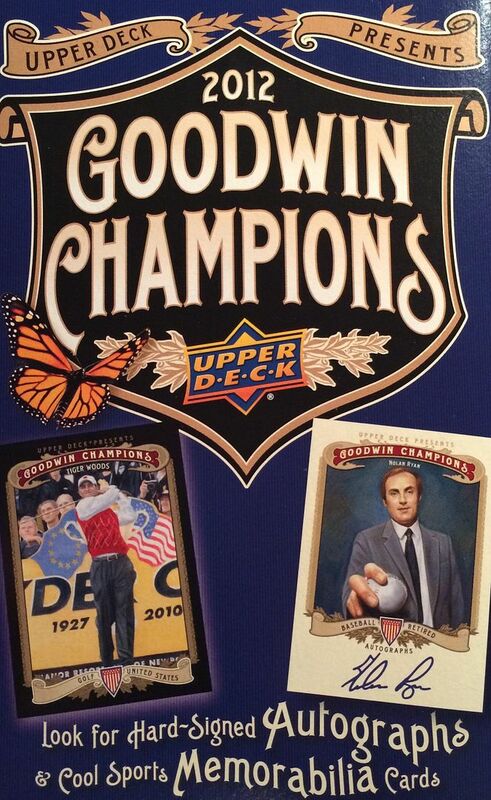 As you know I like to dip into some Goodwin Champions every-so-often to satisfy my multi-sport itch. I really should just buy some hobby boxes of the stuff, but I find that the price of Goodwin at the retail level currently is hard to pass up. Goodwin blasters offer a chance to get some unique athletes and historical figures. It's definitely possible to get hits out of Goodwin Champion blasters, but the odds are definitely not in your favor. Instead, collectors can pretty much look forward to getting mini cards and a military insert card in this year's version of the set. Being a primarily a hockey collector, I always hope to pull more hockey personalities out. It'd be amazing if a hockey relic came out of one of these things. Sure, getting a Jordan autograph would be nice too! To me this was a decent break of Goodwin Champions. 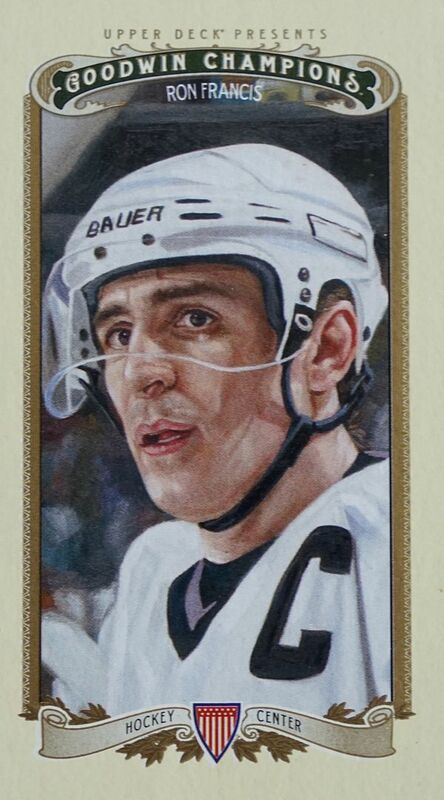 Though I did not get any sort of hit, I did get a good number of hockey mini cards, which was a bit surprising. My military card was a plane that I don't thin I've pulled before - so that's good. After getting quite a few blasters of this already I would think I'd start seeing duplicates more often. As for the standard base cards, I liked my eclectic mix of people. Getting Stan Lee with Hulk gloves on was pretty cool. Brian Leetch's card with the United States flag in the background was also a fun card to see again. Ron Francis was a great player for a number of years in the NHL. It's always nice to pull his cards, and I'm always happy to get him either in a Pens or Whaler jersey. Robinson was a great player for the Habs back in the day, but now his is one of the coaches for your San Jose Sharks! I've actually been trying to get some of his autos recently. 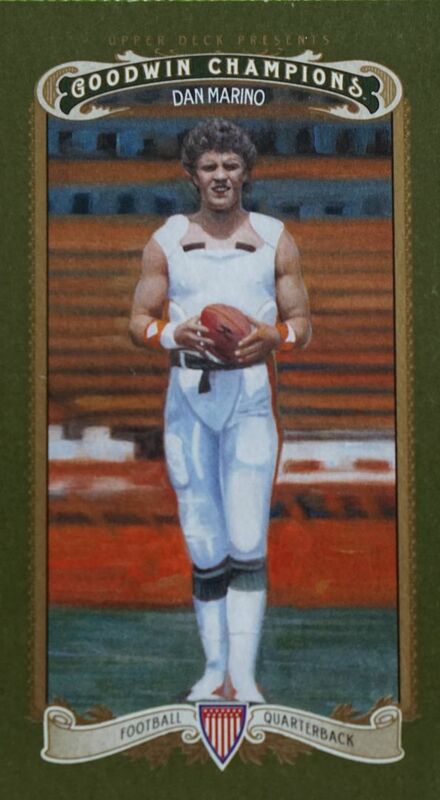 Marino was one of the most popular quarterbacks in the 90's. 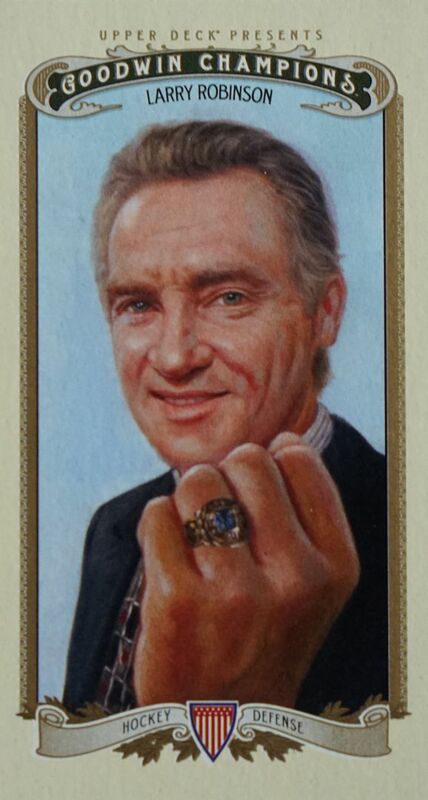 I definitely had a football card collecting phase back then and getting his cards was always a thrill. I did enjoy this blaster box of Goodwin, but the value wasn't quite there since there was no hit in it. Sure, these cards can be enjoyed, but there really has to be some more value in these blasters to really take them to the next level.